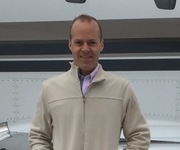 An accomplished aviation professional, Justin Demming brings nearly two decades of experience to his role as owner and founder of Patriot Air, LLC, a private charter jet company based in Wadsworth, Ohio. In this leadership position, he guides a company that brokers client trips to destinations around the United States, Mexico, and the Caribbean. Under the direction of Justin Demming, Patriot Air has successfully coordinated all air travel, ground transport, and hotel accommodation for more than 400 trips. Justin Demming earned a bachelor’s degree in communications from Kent State University before embarking on his career. Prior to founding Patriot Air, he gained experience in the private jet travel industry in a leadership role with Bigfly Aviation in Cleveland, Ohio, where he arranged charter flights for a high-end client list, which included celebrities and business owners. Previously, he held several positions in the sales and marketing industry, including serving as an account executive for TNT Publications and a district manager for Automatic Data Processing (ADP). An active member of the field, Mr. Demming belongs to professional organizations, such as the National Business Aviation Association. Outside of his professional life, he gives back to the community through his work with the Perry Thomas Demming Foundation, which he founded with his brother.